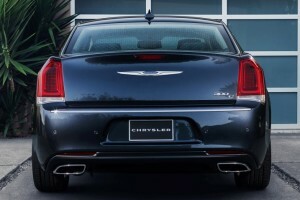 The entry-level Chrysler 300 Limited gets an upgraded suspension aimed at improving handling and an available 90th Anniversary Edition package with unique commemorative touches. The 300S trim now offers an optional performance suspension with upgraded components, while the standard Uconnect touchscreen gets a few enhancements, including Siri Eyes Free. Safety options have been streamlined into a single SafetyTec Plus package that’s optional on most trims. 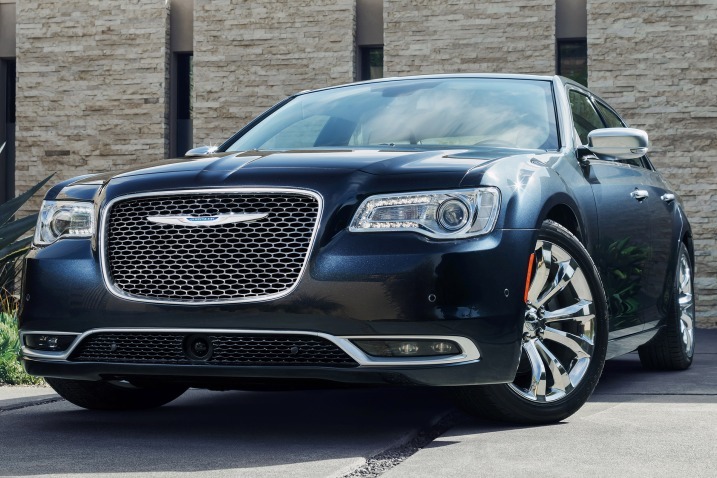 There are a number of large sedans on the market, but the 2016 Chrysler 300’s combination of luxury and attitude helps separate it from the pack. Indeed, when the original 300 made its debut back in 2005, it was about as brash as a car could get without actually standing up and slapping you in the face. The 2016 300 is a bit more subtle, with a stronger emphasis on refinement and upscale appointments, including numerous upgrades introduced last year. But there’s still something vaguely imposing about this distinctly American sedan. Part of the 300’s appeal also comes from its rear-drive platform (all-wheel drive is optional) and choice of V6 or V8 power. The V6 delivers adequate acceleration and good fuel economy, while the V8 provides 300 owners with the sound and fury of a good old-fashioned muscle car, albeit suitably tamed for premium-sedan duty. No matter the engine, the 300 boasts an impressively quiet and smooth ride quality. The 300S model comes with a sport-tuned suspension that can be optionally upgraded with beefier components for 2016, and although nothing can disguise the 300’s bulk, we’re impressed by how this big sedan stays planted to the road. Like a heavyweight boxer, the 300S can stick and move when it needs to. The 300’s character may be unique, but you’ll find comparable size and comfort in front-drive competitors like theBuick LaCrosse, Chevrolet Impala and Toyota Avalon. The Avalon boasts smooth V6 power and an available hybrid powertrain, while the current Impala is a vastly improved American rival. Often overlooked, the LaCrosse continues to impress with its quiet, supple ride. The Hyundai Azera and Kia Cadenza, near-twins from South Korea, also compete well, while the rear-drive Hyundai Genesis may cost more but delivers a convincingly uptown experience. All are appealing picks for a large sedan, but if it’s luxury with attitude that you’re after, none can match the 2016 Chrysler 300. The 2016 Chrysler 300 is a full-size sedan available in four different trim levels: 300 Limited, 300S, 300C and 300C Platinum. Standard equipment on the base 300 Limited includes 17-inch alloy wheels (19-inch with all-wheel drive), heated mirrors, automatic headlights, LED daytime running lights and taillights, a rearview camera, keyless entry and ignition, cruise control, dual-zone automatic climate control, leather upholstery, heated eight-way power front seats (with four-way power lumbar adjustment), a tilt-and-telescoping steering wheel and 60/40-split folding rear seatbacks. Technology features include an 8.4-inch touchscreen interface, Siri Eyes Free, Bluetooth phone and audio connectivity, voice controls, WiFi hotspot access and a six-speaker sound system with an auxiliary audio jack, a USB port and satellite radio. The 300S comes with the Limited’s equipment plus an additional 8 horsepower and 4 pound-feet of torque for the standard V6 engine, 20-inch “hyper black” alloy wheels with performance tires (19s with AWD), a sport-tuned suspension (RWD only) and steering calibration, a dual sport exhaust, remote start, unique black-out styling elements, LED fog lights, sport front bucket seats and a 10-speaker Beats Audio sound system. An optional performance suspension exclusive to the 300S features stiffer springs, performance-tuned steering and bushings, larger sway bars (V8 only) and upgraded tires. 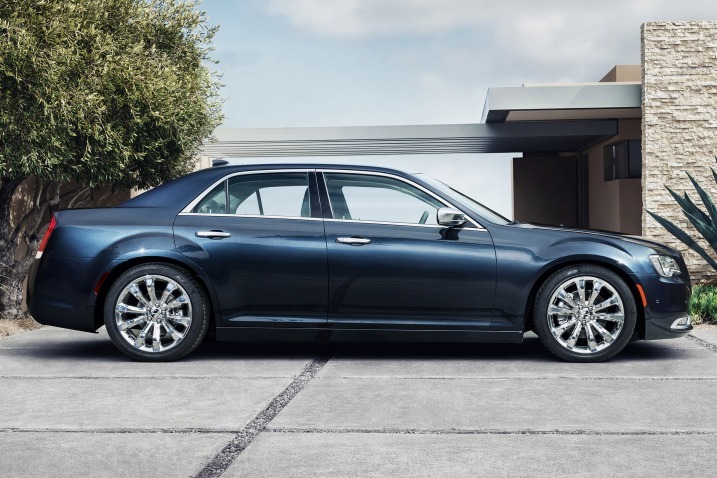 Opting for the luxury-themed 300C adds the following to the 300 Limited’s standard equipment list: 18-inch alloy wheels (19s with AWD), a comfort-tuned suspension, remote start, LED foglights, additional chrome exterior accents, an auto-dimming driver-side and rearview mirror, a dual-pane sunroof, LED cabin lighting, a heated power-adjustable steering wheel with wood and leather trim, heated and ventilated front seats, heated rear seats, driver memory settings, a power rear window sunshade, a navigation system, HD radio and a six-speaker Alpine audio system. 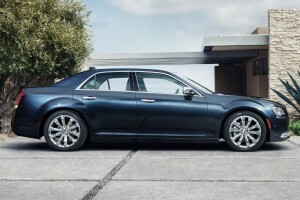 Building on the 300C is the 300C Platinum, which adds 20-inch wheels (rear-drive only; AWD models stick with 19-inch wheels), unique exterior trim, a touring-tuned suspension (same as the Limited), adaptive xenon headlights, power-adjustable pedals, heated and cooled front cupholders, upgraded leather upholstery, an upgraded steering wheel and a 19-speaker Harman Kardon stereo (which deletes the power rear window sunshade). Many of the upper trims’ features are available on the lower trims as stand-alone options or via various packages. Notable extras include the base Limited’s 90th Anniversary package, which adds unique badging and trim (including a special splash screen for the infotainment display), remote start, the dual-pane sunroof and the navigation system. Available on all but the Limited trim is the SafetyTec Plus package, which includes puddle lamps, front and rear parking sensors, automatic high-beams, automatic wipers, lane-departure warning and prevention, adaptive cruise control, blind-spot monitoring, rear cross-traffic detection and a forward collision mitigation system with automatic emergency braking (it also adds an auto-dimming driver-side mirror to the 300S). Should you be considering a stint in the taxi business, the Livery package (Limited only) contributes such items as chrome mirror housings and door handles and a four-year/150,000-mile extended warranty. All 2016 Chrysler 300 trims start out with a 3.6-liter V6. It produces 292 hp and 260 lb-ft of torque except in the 300S, where it squeezes out 300 hp and 264 lb-ft of torque. An eight-speed automatic is standard, as is rear-wheel drive. All-wheel drive is optional. In Edmunds performance testing, a rear-drive 300C V6 went from zero to 60 mph in 6.8 seconds, which is about average for a V6-powered full-size sedan. An all-wheel-drive 300C V6 needed 7.1 seconds. EPA-estimated fuel economy for the V6 is a respectable 23 mpg combined (19 city/31 highway) with rear-wheel drive and 21 mpg combined (18/27) with all-wheel drive. Optional on all but the base 300 Limited is a 5.7-liter V8 good for 363 hp and 394 lb-ft of torque. An eight-speed automatic and rear-wheel drive are standard. Fuel economy drops to 19 mpg combined (16/25). Standard safety equipment on the 2016 Chrysler 300 includes antilock brakes, traction and stability control, front side airbags, side curtain airbags, a driver knee airbag, a rearview camera and active front head restraints. The standard Uconnect Access system includes automatic crash notification, on-demand roadside assistance, remote door unlocking and stolen vehicle assistance, while the optional SafetyTec Plus package (offered on all but the 300 Limited) adds forward collision warning and mitigation with automatic braking, lane-departure warning and prevention and a blind spot monitor with rear cross-traffic alert. The Insurance Institute for Highway Safety gave the 300 its top rating of “Good” in the moderate-overlap frontal-offset, side-impact and roof-strength crash tests. Its head restraint and seat design also earned the IIHS’s top rating of “Good” for whiplash protection in rear impacts. During Edmunds testing, a rear-wheel-drive 300C V6 took 122 feet to stop from 60 mph in a simulated panic stop. That distance is about average for the class of vehicle, though we noted significant brake fade after repeated hard stops. A heavier all-wheel-drive 300C with less grippy tires took 133 feet to stop from 60 mph, one of the longest distances in the segment for this test. 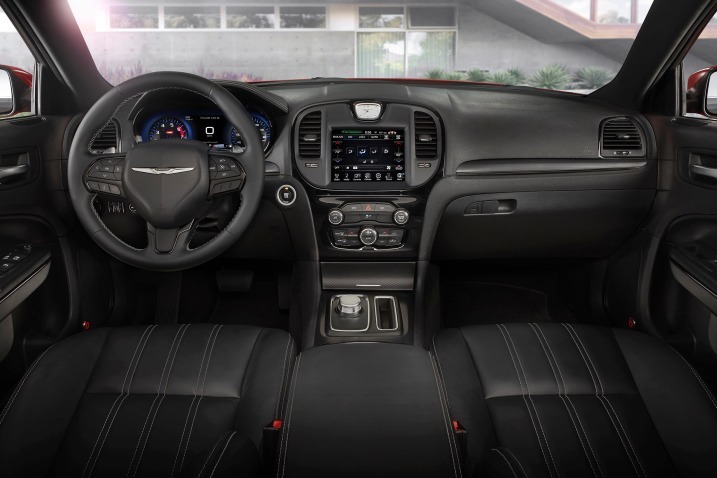 Although the inside of a Chrysler 300 may not feel as upscale and plush as a European luxury sedan, it has quality furnishings for a sedan in this price range and it’s definitely a good place to spend some time. 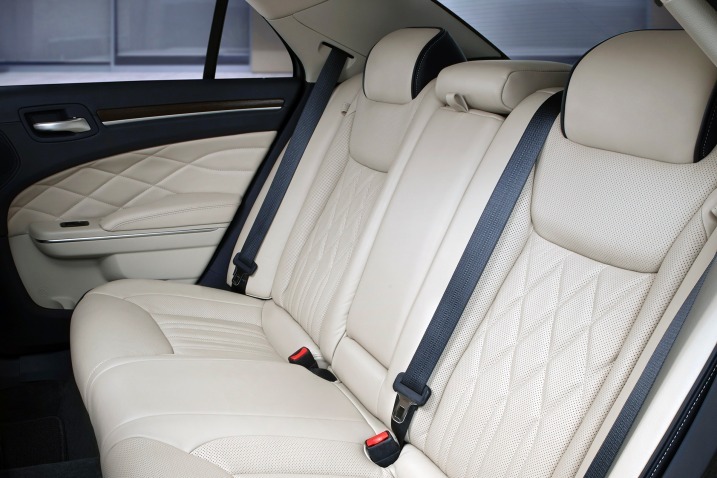 The cabin is full of rich finishes and extensive soft-touch materials, and the various trim levels add visual flair with upgraded leather and two-tone color schemes. On the technology front, the standard 8.4-inch Uconnect touchscreen interface is one of our favorites, pairing large buttons and crisp graphics with a logical menu structure. New features for 2016 include drag-and-drop functionality, Siri Eyes Free and a do-not-disturb function. We also appreciate the 300’s diverse array of audio options, including an Alpine system, a Harman Kardon system, and of course the thumping Beats Audio setup. Given the Chrysler’s ample proportions, it should come as no surprise that there’s plenty of room inside for occupants of all sizes. The adjustability of the driver seat and tilt-and-telescoping steering wheel is particularly generous, while the rear seats are both spacious and supportive. Compared with other large sedans, though, the middle rear seat isn’t as comfortable or useful due to the rear-drive 300’s transmission tunnel hump. Luggage capacity is average for a large sedan, checking in at 16.3 cubic feet, but the rear wheel wells intrude on trunk space a bit and may limit loading depth for larger items. The 2016 Chrysler 300 glides down the road with the smooth, substantial feel of a big Mercedes-Benz sedan. That’s not entirely coincidental, as some aspects of the 300’s suspension design can be traced to the previous-generation Mercedes E-Class (back from when Mercedes owned Chrysler). The 300 remains unruffled even on heavily rutted pavement, though the ride becomes firmer with the 300S’s sport suspensions or any of the numerous 19- and 20-inch wheel designs. Depending on your local driving conditions, you may want to go with smaller wheels. Aside from the 300’s compromised rear visibility, which is an inevitable consequence of the car’s high beltline, small windows and thick rear pillars, it’s hard to find fault with how it drives. While we think the big V8 best fits the 300’s persona, the standard V6 is a decent performer in its own right, and it’s also pretty fuel-efficient with rear-wheel drive. Either way, the eight-speed automatic is smooth and responsive. 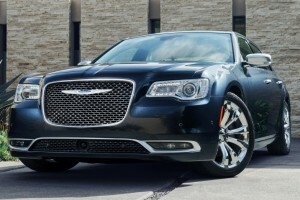 Around turns, the Chrysler 300’s bulk is inescapable, but this sedan nonetheless feels planted and secure. That’s especially true of the sportier 300S, which is firmer and more disciplined in spirited driving. You won’t notice a handling difference between the rear- and all-wheel-drive models, so the choice there comes down to whether you want AWD for winter driving.